If you are looking for Non-Profit Organizations and related trusts and charities to offer your services or to implement your CSR activities, Blue Mail Media’s Non-Profit Organizations Mailing Database can be a perfect information source. 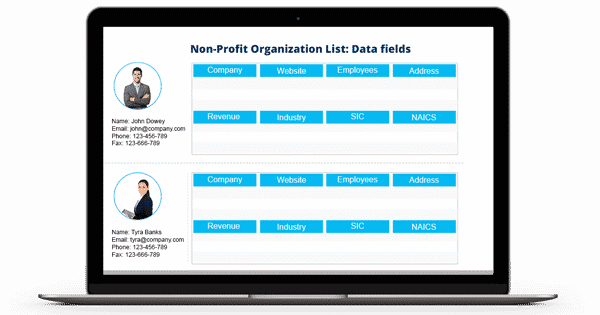 Our Non-Profit Trusts Email List gives you access to complete information to connect with your target audience via multi-marketing channels such as telephone, email or mail. Over the years, Blue Mail has emerged as one of the most reliable sources for marketing databases across the globe. Our Non-Profit Organizations Executives Mailing List has been carefully prepared to help you gain a greater response rate on your campaigns and increase your revenue. Blue Mail Media has a strong presence across the UK, US, Canada, North America, Europe, Russia, China, India, Australia amongst others. This global arrangement enables us to serve clients beyond our national borders. We are committed to provide our clients with highly reliable marketing data as we give them flexibility to choose from our pre-packaged NGOs Mailing Database or get a customized list based on their campaign specific requirements. Blue Mail Media gives you enough flexibility to either choose from our pre-packaged Charities Mailing List or get a customized list created as per your campaign specific requirements. With our data, you are sure to realize greater response rate, conversions and a healthy ROI.